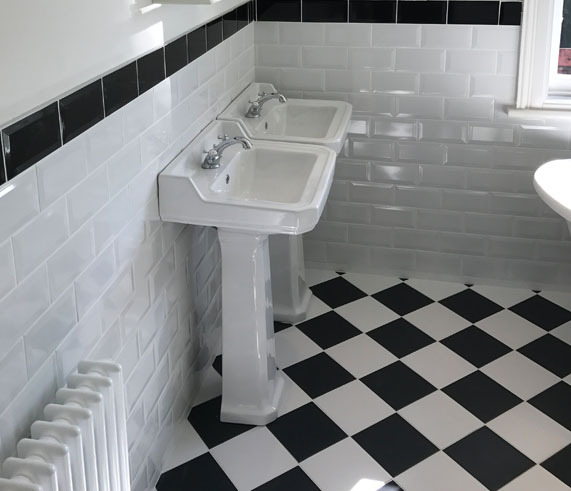 We are specialists in plumbing and heating services. 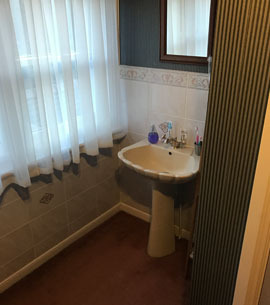 As you can see from the pictures, the first set is what the bathroom looked liked before went in a done any work. 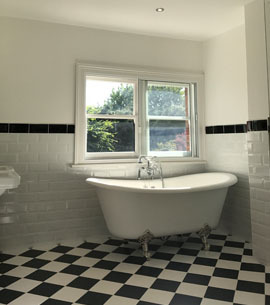 We rip out and completely renovate your bathroom space to fit your image you have of your dream bathroom in your head. For this job we all flooring, bathroom fixings, plastering and tiling. 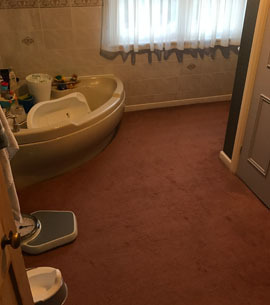 We just don’t fit a bath or faucet we go the extra mile make a bathroom worth getting in the morning to clean up in. This is just a small bit of feedback from the customer them selves if you want to find out more we are just a phone call away or please view our reviews on our Checkatrade account. 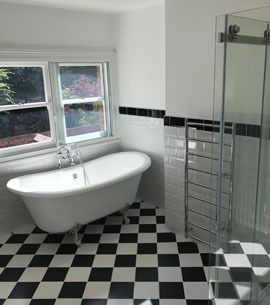 Excellent work completely renovating an old 1980s bathroom into a modern, clean and beautiful family bathroom. Max was very professional, kept us informed throughout and a really nice guy. We gave him a door key and he is completely trustworthy. Top work! Very highly recommended. Please give us a call about any of what you’ve seen above or go to our contact page and submit a form with all your details so we can better help your needs. You can also go to our Gallery page which has more images of previous work with have done.. Copyright © MaximumHeating 2019.All rights reserved.